CM Dental Center offers full service denture care in the Norwood Park area of Chicago. We provide our patients with dentures and partial dentures that will fit your lifestyle at a price you can afford. Call our Norwood Park Dental office if you need a denture repair. We welcome emergency dental patients. The full dentures Dr. Mlynski makes are completely custom fit for every patient. We want our patients to be able to eat, talk and laugh without worrying about the way their dentures fit. Enjoy the natural appearance you desire. Tired of floating or loose dentures? Dental implants can be an easy more permanent fix for your denture. 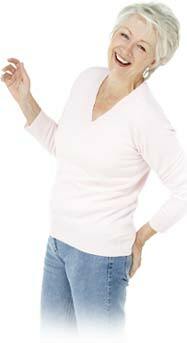 Ask Dr. Mlynski how you can stabilize your dentures for a click tight fit. When a patient is lucky enough to have only a few teeth missing, partial dentures can be a great way to restore function. Dr. Mlynski will match each partial denture to the color and style of your natural teeth, OR he will create a new more youthful appearance with whiter denture teeth. Ask Dr. Mlynski for your options. If your denture or partial is loose or does not fit comfortably, Dr. Mlynski may be able to repair your denture economically by resurfacing only the inside portions of the denture to give it a more snug fit. Many times, Dr. Mlynski can complete the reline during your appointment without sending it to the lab. Never be without your teeth! Dr. Mlynski can make you a spare denture or partial so you will never be embarrased about tooth loss even when you break or lose your everyday set. Dr. Mlynski works closely with his dental laboratory to do most denture repairs 'while you wait'. Dr. Mlynski can replace missing denture teeth, add a tooth to a partial to replace an extracted tooth, repair broken dentures, and repair the framework of a partial denture. The staff at CM Dental Center will be happy to clean your dentures or partials for you. CM Dental Center can remove most stain and tartar buildup 'while you wait'.